TORRANCE, Calif., -- DocMagic, Inc. the premier provider of fully-compliant loan document preparation, compliance, eSign and eDelivery solutions, announced that it was named to National Mortgage Professional magazine's annual "Top 100 Mortgage Employers" list for 2016. The award is based on the magazine's Mortgage Company Employer Score (MECS), which weighs various factors in order to compile the list. A polling of readers is used with the following criteria: corporate culture; compensation; day-to-day management; internal communications; training resources; long-term strategy; innovation; speed; technology; and industry participation. DocMagic, Inc., the leading provider of fully-compliant loan document preparation, compliance and eDelivery solutions for the mortgage industry, is excited to announce the launch of BorrowerMobile, an interactive application that turns any tablet or smart phone into a seamless communication tool for borrowers and lenders. Today's borrower is on the go and the mortgage loan process needs to be dynamic to respond to this accelerated pace. 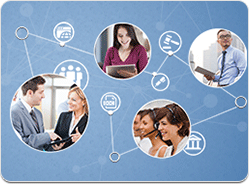 Communication takes place at any time... and from anywhere, and now with BorrowerMobile the loan process can too. Lenders simply invite borrowers to download the BorrowerMobile application and the system establishes a direct communication link between the lender and borrower, allowing all parties to interact and share information from anywhere -- communication is instant, seamless, and completely secure. DocMagic, Inc., the leading provider of fully-compliant loan document preparation, compliance and eDelivery solutions for the mortgage industry, announced today that the company has maintained a perfect 100% uptime record for the past 120 days. DocMagic provides system status information on its website in real time. 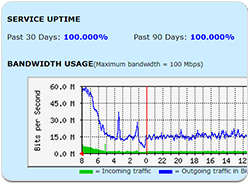 Over the past 12 months, DocMagic has maintained an unparalleled 99.989% uptime record. That period of time includes the company’s move to their new location and switch-over to the new state-of- the-art technology center resulting in the new 100% uptime record. "Some service providers and IT executives will say that 100% uptime is an impossible standard," said Dominic Iannitti, CEO of DocMagic. "I can assure you that it is possible and meeting this standard involves investment in infrastructure, superior staff training, constant monitoring and an unwavering commitment to the task." DocMagic Completes Urgent Implementation for Lender Cashcall, Inc.
Press Release: DocMagic deploys loan document and compliance solutions with CashCall, Inc. in only 40 days. TORRANCE, Calif.--October 23, 2012--DocMagic, Inc., a leading provider of fully-compliant loan document preparation and delivery solutions for the mortgage industry, successfully integrated its document preparation and delivery solutions with CashCall, Inc. (“CashCall”), one of the nation's premier consumer finance lenders. The recent project – achieved in just 40 days – quickly and expertly equipped CashCall with compliant loan documents, something its prior vendor couldn’t do despite 18 months of effort. This implementation allows CashCall’s staff to prepare and deliver fully compliant electronic loan documents with record speed in all 43 states where the company does business. Press Release: An expert in electronic commerce for the mortgage industry joins as head of eServices. TORRANCE, Calif.--October 22, 2012--DocMagic, Inc., a leading provider of fully-compliant loan document preparation and delivery solutions for the mortgage industry, announced today that Tim Anderson, well known advocate of electronic commerce and eMortgages, has joined the company as head of the firm’s new eServices Division. 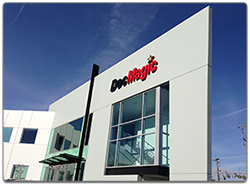 In his new role, Anderson will help DocMagic grow its market share as the industry continue to adopt electronic means of fulfillment. 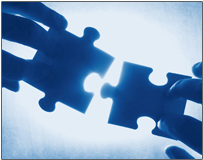 DocMagic, Inc, the mortgage industry's leading provider of loan document and automated compliance, hosted an eSign webinar on May 3, 2012 . The webinar instructs how DocMagic eSign can help you electronically sign, seal, and deliver any document safely for FREE! You'll also learn, step-by-step, how to get documents executed instantly. 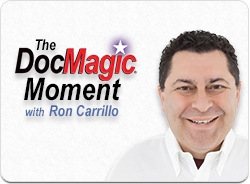 DocMagic's Chief Legal Officer, Melanie Feliciano, educates viewers in regards to the Federal ESIGN Act, and Ron Carrillo, Training and Education Supervisor, dispays how this process saves you valuable time and money!